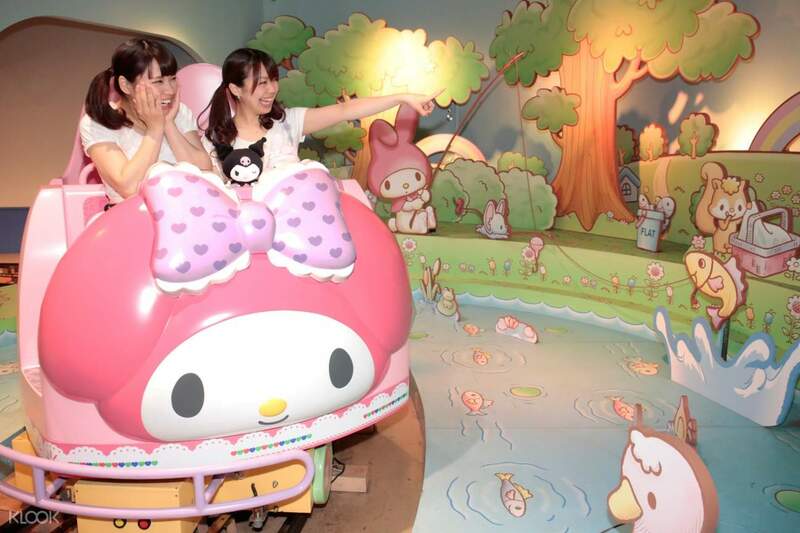 Visit Tokyo's signature theme park that attracts over 1.5 million visitors a year, Sanrio Puroland! easy using, just show the barcode received at the entrance. Hurry and get your Tokyo Sanrio Puroland tickets early for one of the most popular theme parks in Japan! Sanrio Puroland is located in Tamo New Town and is home to an abundance of rides and attractions inspired by such famous and loved characters as Hello Kitty, My Melody, Jewelpet and more! Watch the characters perform in musicals and march in parades, go on rides and visit the theme park's gift shops for fun souvenirs and memorabilia only found there. A true Mecca for all Hello Kitty fans, the park features Kitty's house full of stories and portraits of her family, displays of her purses, jewelry and more. 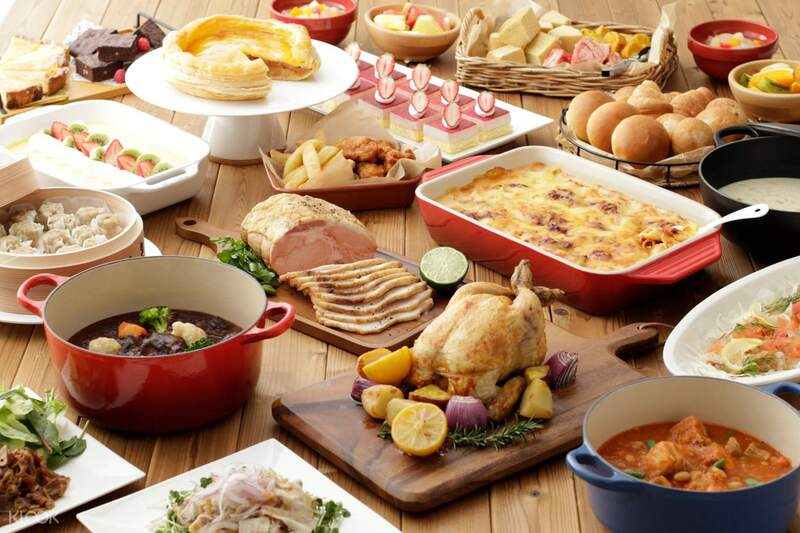 The theme park has three live theaters, one film theatre and dessert themed attraction areas: candy, ice cream, bread, juice and chocolate factories. Come join the celebration of Hello Kitty's 45th anniversary by visiting Sanrio Puroland in 2019! 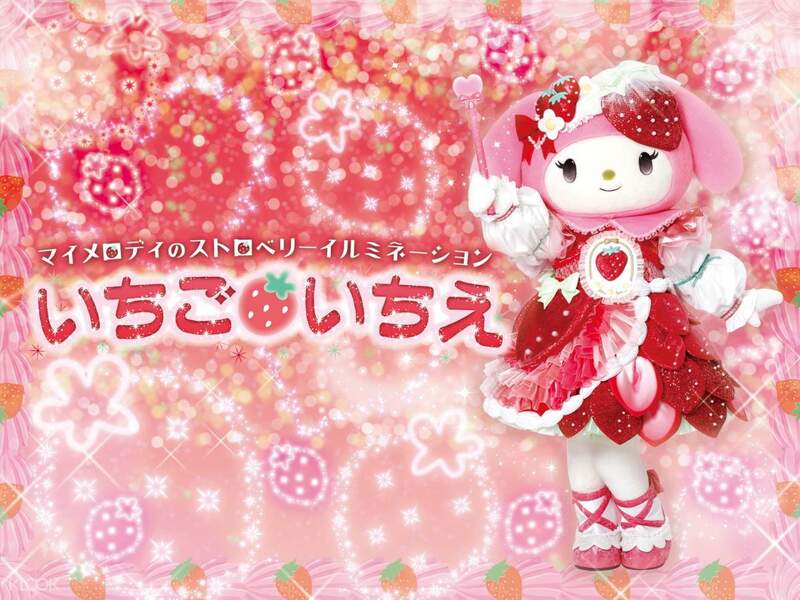 Check out the limited-time events, such as the "My Melody Strawberry Illumination" and "Sweets Puro"
The pass from Klook was easy to use, I printed them out and just scanned the QR code as I entered and that's it. I went here with my senior citizen parents and my sister, so we were all adults, and I can say we did enjoy this place. 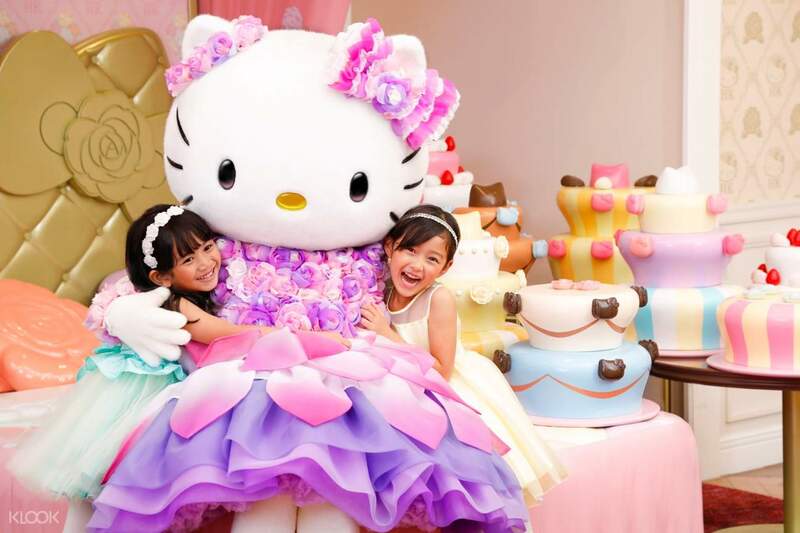 It is fun for both kids as well as us adults because we grew up to Hello Kitty tv shows and merchandise so we all know and adore Hello Kitty and the other Sanrio Characters. We went here on a weekday, before lunch time and there were already a lot of people inside better to come early and enjoy the rides first before you go shopping. The pass from Klook was easy to use, I printed them out and just scanned the QR code as I entered and that's it. I went here with my senior citizen parents and my sister, so we were all adults, and I can say we did enjoy this place. It is fun for both kids as well as us adults because we grew up to Hello Kitty tv shows and merchandise so we all know and adore Hello Kitty and the other Sanrio Characters. We went here on a weekday, before lunch time and there were already a lot of people inside better to come early and enjoy the rides first before you go shopping. A MUST GO place for people who likes Sanrio characters! Great indoor amusement park that is clean with great details! shows are great but in Japanese only. attractions are fun for kids under 7 yrs old! lots of gift shops. food are cute at reasonable price. the park is just a 8 min walk from train station so it's easily accessible for tourists! 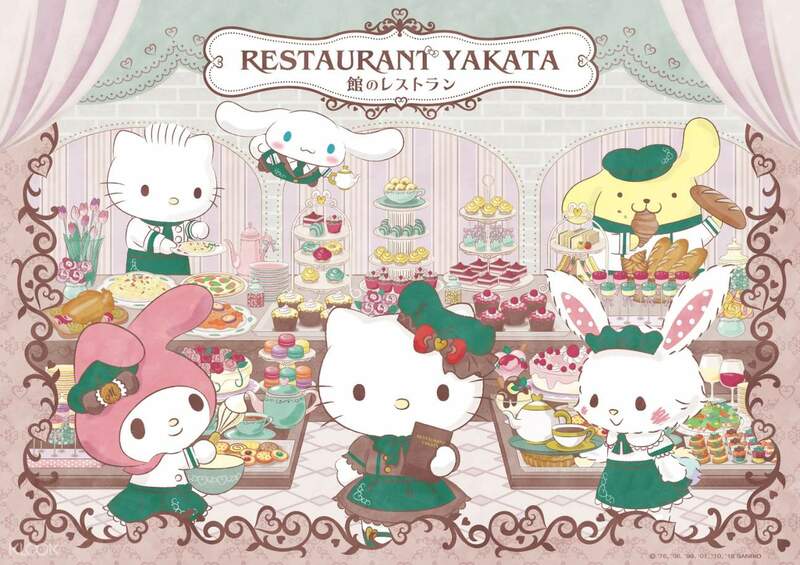 A MUST GO place for people who likes Sanrio characters! Great indoor amusement park that is clean with great details! shows are great but in Japanese only. attractions are fun for kids under 7 yrs old! lots of gift shops. food are cute at reasonable price. the park is just a 8 min walk from train station so it's easily accessible for tourists! Very fun n enjoyable experience,there are so many sanrio characters which you can see in person.Many sanrio merchandise can be bought there.Easy entry with QR code,dont have to join long queue to exchange tickets. Its also cheaper to buy from klook. Thumbs up Klook. Very fun n enjoyable experience,there are so many sanrio characters which you can see in person.Many sanrio merchandise can be bought there.Easy entry with QR code,dont have to join long queue to exchange tickets. Its also cheaper to buy from klook. Thumbs up Klook. My 2 daughters had so much fun. They enjoyed every bit of it, from taking pictures with the characters, the parades to the rides. We get to chance to eat as well and got some nice freebies with it. I would highly recommend thia activity especially when you have lil ones. My 2 daughters had so much fun. They enjoyed every bit of it, from taking pictures with the characters, the parades to the rides. We get to chance to eat as well and got some nice freebies with it. I would highly recommend thia activity especially when you have lil ones. It’s great, I can pass to indoor by application. I love this place. When I arrived Tama center station I found everything are Sanrio character. They are so cute. Because It’s indoor I didn’t worry about UV. Hahaha For the shop, There are too much cute things in this place. Love!!! It’s great, I can pass to indoor by application. I love this place. When I arrived Tama center station I found everything are Sanrio character. They are so cute. Because It’s indoor I didn’t worry about UV. Hahaha For the shop, There are too much cute things in this place. Love!!! It was very easy to use Klook. Just show the QR code and you don’t have to queue. Puroland was a great place for kids especially little girls. You would definitely spend more than half a day. Parade was very crowded, in order to get a good spot you might want to go earlier to book a place, which I didn’t. It was very easy to use Klook. Just show the QR code and you don’t have to queue. Puroland was a great place for kids especially little girls. You would definitely spend more than half a day. Parade was very crowded, in order to get a good spot you might want to go earlier to book a place, which I didn’t. Q: Can I exchange for a physical ticket in person at the ticketing counter? A: No. This admission ticket is an e-ticket. You cannot exchange it for a physical ticket.